It might surprise visitors to know that Amsterdam is actually one of the safest cities in the world. International consultancy Mercer ranked Amsterdam 22 out of 215 world cities for personal safety in its 2008 Quality of Life Survey. Fellow European capitals Paris and London didn't even make the top 50. It's not just the practical details -- safe and widely used public transportation, the fact that violent crime is not common here, etc. 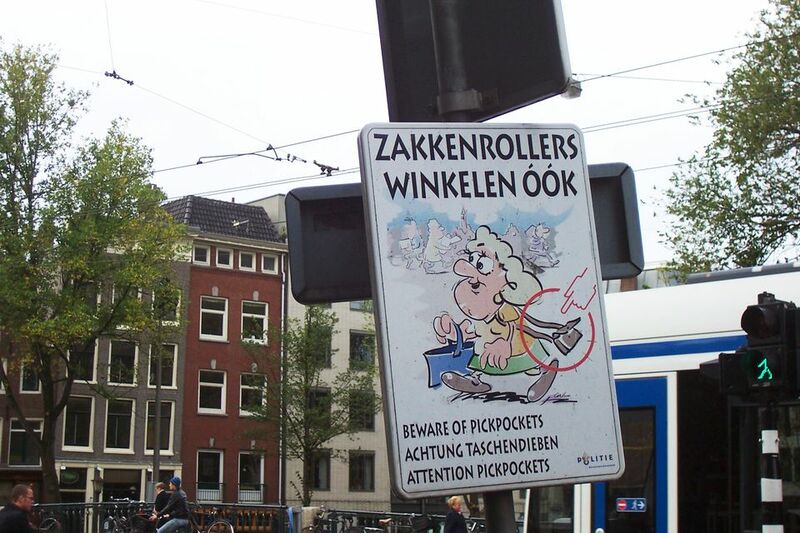 -- that make Amsterdam safe. The secure foundation that underlies the carefree atmosphere here has a lot to do with the smaller size of the "global village" and the independent and live-and-let-live attitude of its natives. The combination makes for a laid-back feel, which seems to cull criminal behavior. As for areas to avoid, most Amsterdam neighborhoods are safe for walking, even alone, with a few exceptions. One place to avoid come nightfall is the Red Light District. While it's filled with all types of people during the day, the area attracts seedier visitors and vagrants at night. Unfortunately, these can include pick-pockets and people discreetly (but persistently) peddling illegal, "hard" drugs. Again, violent crimes are not common, but tourists should also watch for pick-pockets on crowded trains and trams during the high tourist season. Each travel situation has its perils, but all can be easily avoided with a bit of precaution. Bike safety is an important consideration in Amsterdam, a city where pedestrians, cyclists, and motorists share the streets, and where tourists are eager to cruise around like the locals on an iron horse. It's entirely possible for visitors to tour Amsterdam by bike with the proper precautions; brush up on the rules of the road first, and learn what these common Dutch street signs and signals mean before you encounter them on the city streets. Coffeeshop visits are another situation where caution is imperative. Visitors who underestimate the effects of cannabis - especially the potent varieties sold in the Netherlands - are at risk of overdoing it, which can lead to unpleasant physical sensations. Inexperienced cannabis users should understand how to enjoy Amsterdam coffeeshops responsibly. One activity that definitely isn't recommended is trying to take a swim in Amsterdam's canals, save for the few times a year that authorized canal swims are held. While the practice isn't necessarily dangerous (the city's made some strides in limiting the amount of waste expelled into the canals), it is illegal. While the Netherlands is generally a safe country, visitors who would like to receive travel alerts can sign up for travel safety advice from the U.S. Consulate, which will alert them to any situations that warrant additional caution. While some of the alerts border on the excessive (such as the annual fireworks warnings for New Year's Eve), this is one way to avoid getting caught in the thick of a scheduled protest.